A question we hear a lot at A.B. May is "what is hard water?" Hard water is defined as water that has a high concentration of minerals. Having hard water in your home can damage your plumbing system and leave you with water that is not up to par. Fortunately, a water softener can stop hard water in its tracks! Below are some of the benefits you will reap from having a water softener installed in your home. Your appliances that utilize water will work more effectively. Clothing will appear brighter and cleaner. Your plumbing system will experience less clogs and not corrode as quickly. Linens and towels will be soft to the touch. Soap scum will no longer linger on your showers, bathtubs and sinks. Dishes will come out of the dishwasher without water marks. A water softener can even give you healthier hair and smoother skin! Are you interested in improving the quality of your water? If so, a water softener from A.B. May can help. You can schedule a time for one of our Water Quality Team members to come to your home and listen to your concerns. 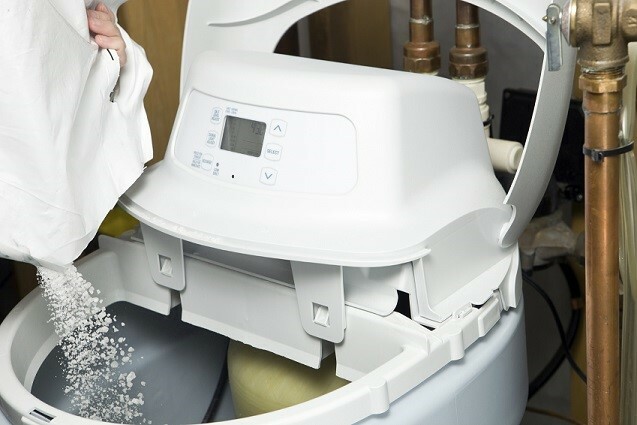 From there, we can advise on which water softener suits your needs and is within your budget. Call 913-370-4898 today.